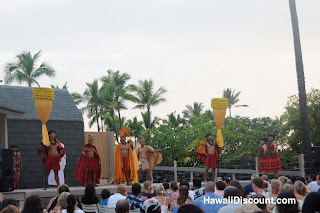 After so many Hawaii Activities the Hawaii Tours Traveling Trio decided to relax at one of the best Big Island Luaus, Island Breeze Luau at the King Kamehameha Hotel. 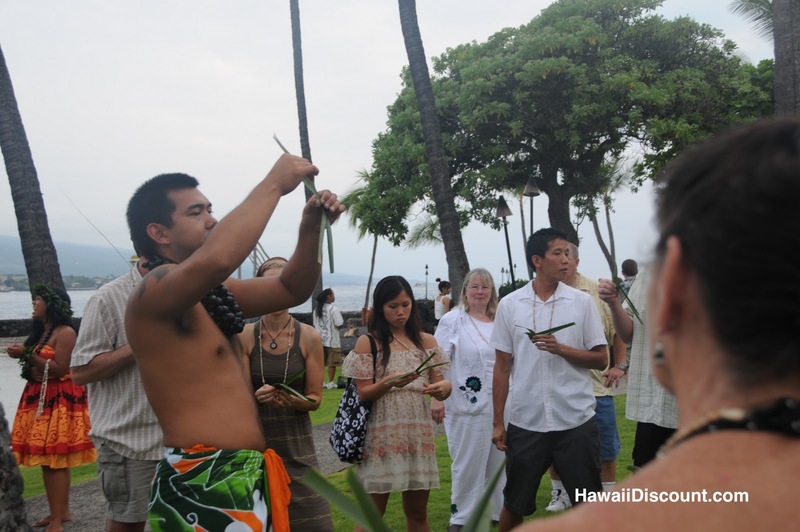 We were greeted with a shell lei and the fun began immediately! 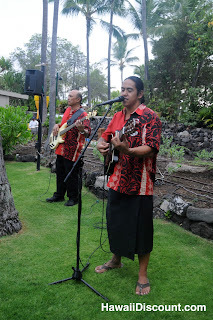 We walked around the grounds and enjoyed the entertainment and activities. 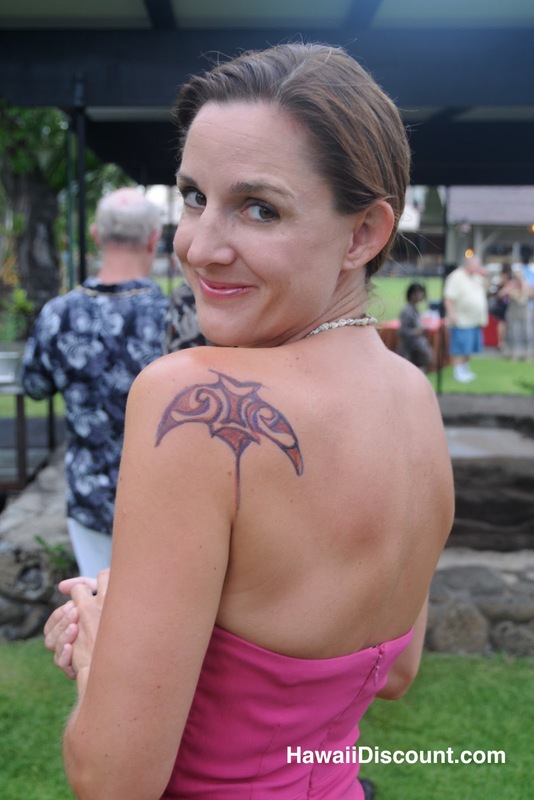 Of course we all needed Tribal Tattoos. D’jibia is getting a sea turtle. Heather got a Hawaiian Flower. In honor of our awesome Manta Ray Night SnorkelingI got a Manta Ray! There were many activities and crafts to participate in. We enjoyed the open bar! The friendly bartender offered a variety of beer, wine, soft drinks and festive cocktails such as mai tais! 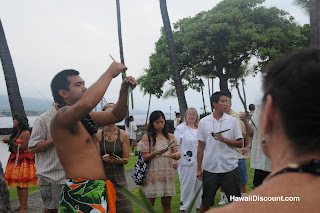 After we enjoyed the Hawaii Activities it was time for the Imu Ceremony. The underground oven reaches 850-900 degrees fahrenheit! 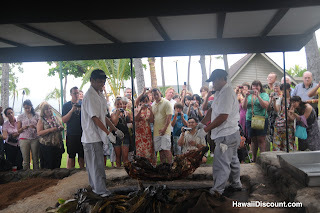 Not only do they cook the pig in the underground oven but also taro, sweet potatoes, bananas and haupia. We grabbed some drinks from the open bar and found our seats. The night began with some hilarious entertainment! Next we were treated to the Royal Court Procession. We enjoyed the authentic Polynesian dances. Then it was time for the delicious Luau Buffet! 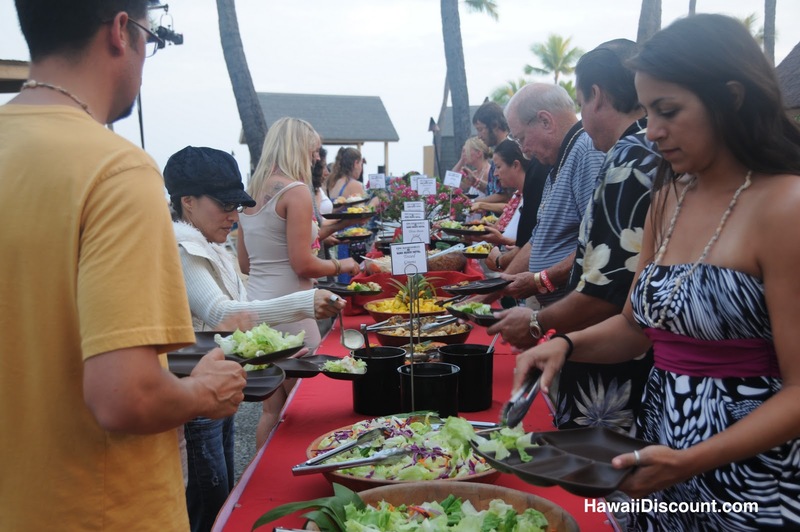 The meal included Hawaii favorites such as Lomi Salmon, Kona-Style poke, Cinnamon-Spiced Bananas (a favorite at our table), Poi Uala, Kalua Pua’a, Lau Lau and much more! For dessert we enjoyed Coconut Cake, Haupia and Kona Coffee. The food was absolutely delicious and I was not afraid to go back for seconds! After dinner we enjoyed an unbelievable show! The dancers were amazing! 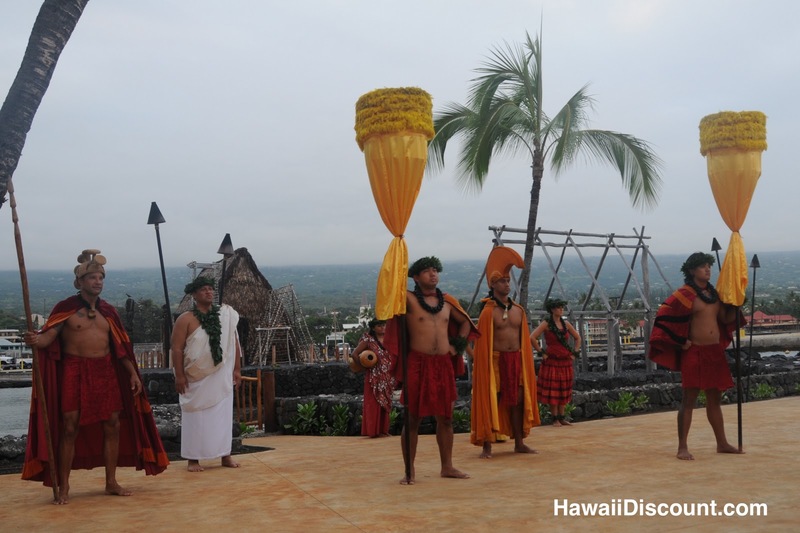 We were all on the edge of our seats as we watched the fascinating Samoan Fireknife dance! 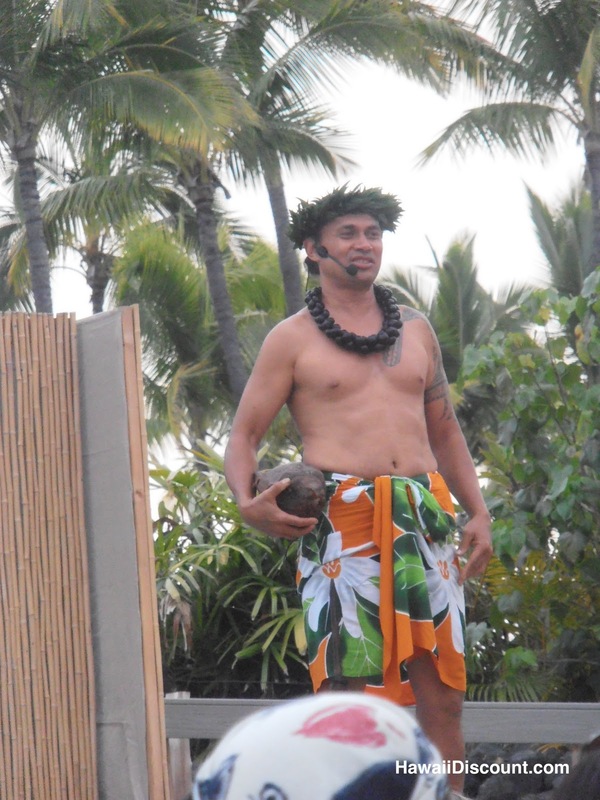 Island Breeze has performed in front of many dignitaries and leaders of the world. The Island Breeze production shares the beauty of the cultural heritage of the Pacific while presenting the expressions of each group in Polynesia and preserving the heritage of the cultural arts. 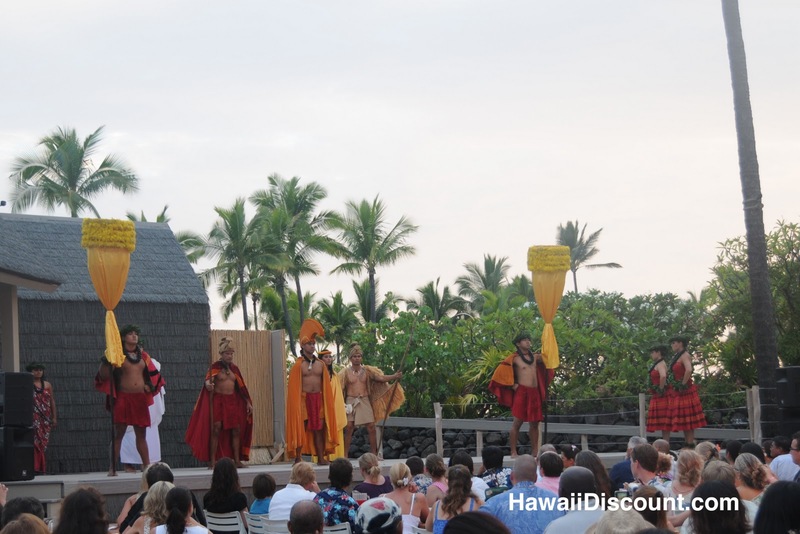 Hawaii Discount offers an incredible low price on the Island Breeze Luau in Kona! 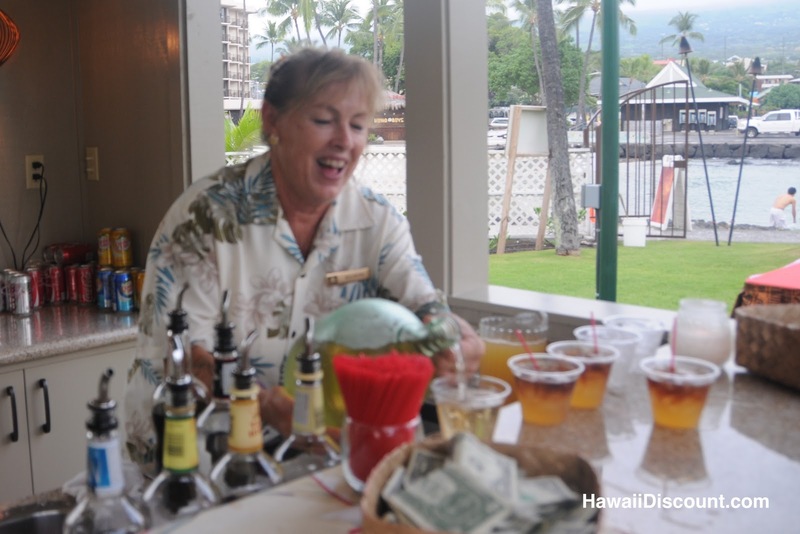 Island Breeze also offers a preferred seating option with seating at the front of the stage, first in the buffet line and front for all pre luau activities. 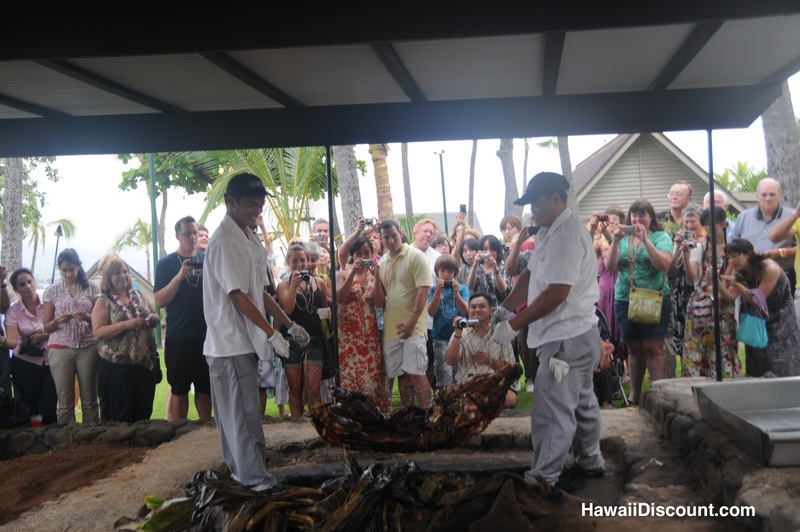 To catch up on all of the adventures of the Hawaii Tours Traveling Trio click here! Have you been to the Island Breeze Luau? What was your favorite part? This entry was posted in Big Island Tours and tagged Big Island, Big Island Luaus, hula dancing, Imu Ceremony, Island Breeze Luau, King Kamehameha Hotel, Luaus, Traveling Trio. Bookmark the permalink. 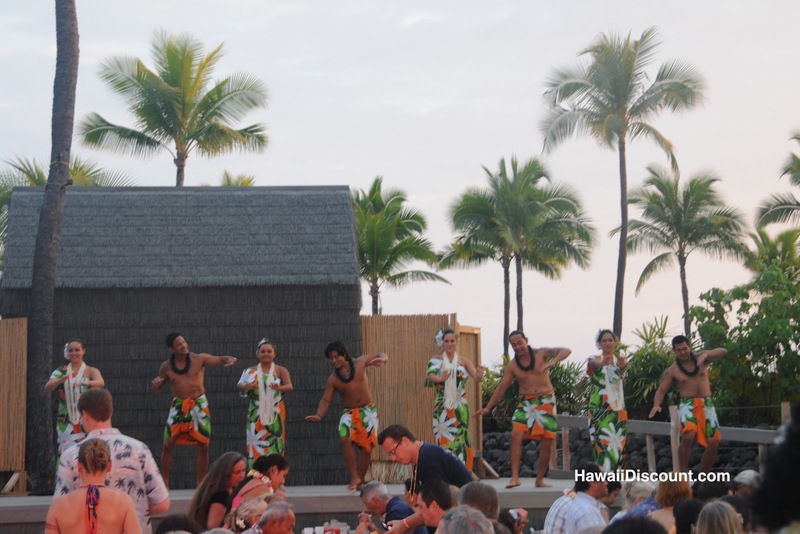 We went to this Luau last year and it was great. Its in Kona. Would recommend.